Being someone who used to wash their hair every day, dry shampoo wasn’t a thing I needed. However, realising washing your hair everyday wasn’t that great I decided to stop and let my hair have a break. Along with this, I decided to take the plunge and cut my hair short. I’d tried the Batiste dry shampoos before just to give them a go, even though I washed my hair everyday. I found them to be okay, quite chalky and with no volumizing factor at all. So anyway, I’d heard so much about Colab dry shampoo and wanted to try. I picked up the extreme volume dry shampoo in ‘New York’, which smells lush. At first I didn’t get on with this at all, as I found it to have a sticky consistency in my hair. I kept trying it however, and slowly fell inlove with it. When it says ‘extreme volume’, its definitely not lying. This keeps my hair held in place basically all day, as well as leaving it feeling cleaner. Its definitely not your usual dry shampoo, as it doesn’t leave weird white marks on your hair once you’ve sprayed it on. However my favourite thing about this has to be the smell. It smells absolutely amazing, and leaves your hair smelling amazing also. I mean who doesn’t want that?! The quality of this product is awesome for the price too. I think this was around the £4 mark in Superdrug, which really you can’t go wrong with. Well done to Ruth for creating such a good dry shampoo! Love it. 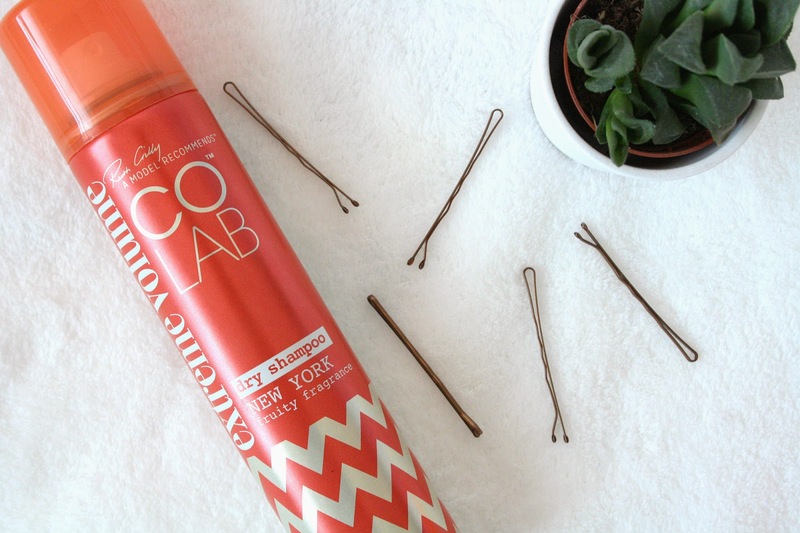 Have you tried Colab dry shampoo?